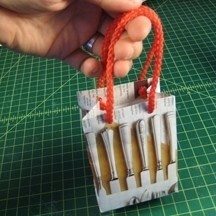 DIY - Gift Bags out of junk mail! Download my pattern for a small gift bag here! Cut out the pattern as shown. 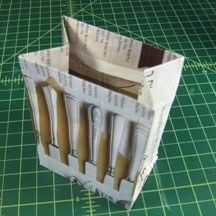 I made this one small, perfect for small gifts or gift cards, because the pattern prints on standard letter sized paper, and fits perfectly on most junk mail catalog pages. 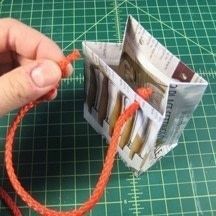 However, you can blow it up and make larger bags if you wish! Choose a piece of junk mail to turn into your bag. 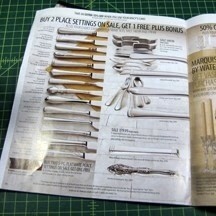 I chose this page of silverware from a catalog, because I am using this one to hold a wedding shower gift card. Trace the pattern on to the chosen junk mail piece. 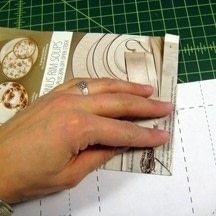 (Traced pattern) Tip: If you plan on making many bags, glue your template to a piece of cardboard (cereal boxes work great! ), and it will last longer! 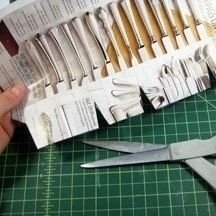 Cut out the junk mail on the lines that you traced. Flip your page over so that the inside of the bag is facing up. 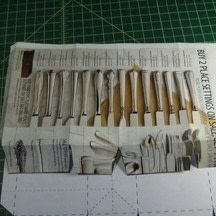 Fold up the larger flaps, which will be the bottom of your bag. The fold should form a relatively straight line when they are all folded. 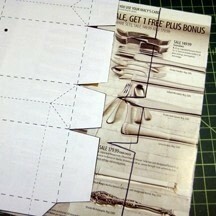 Fold in the long, narrow side flap. This is where you will glue the bag together. 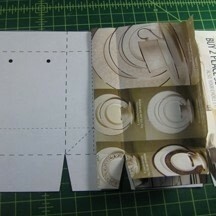 Fold the other 3 vertical corners of the bag in. 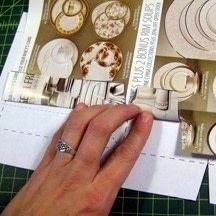 Use the template as a guide as you go to make sure your edges are square. 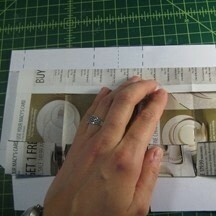 Un fold your piece, and check to make sure your creases match up with the dashed lines on the pattern. 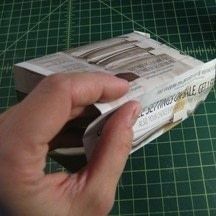 With the inside of the bag still facing you, fold down the top edge. 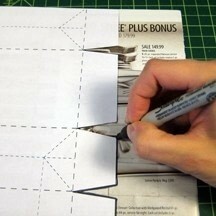 Un-fold the top edge. The crease you made will come in handy later. Flip over the piece so you can see the oustide of the bag. 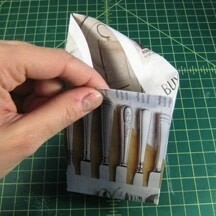 Fold over your bag on the vertical lines that run down the center of the sides of the bag. 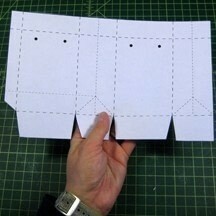 These are the folds that enable your bag to fold flat. Use the template as a guide. 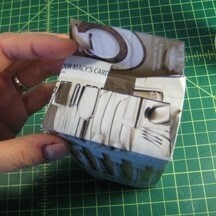 It's also helpful to look at a paper grocery bag or existing gift bag to visualize which way all the folds go. Add some glue to the narrow side flap. 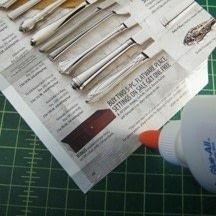 Glue along the vertical side so your paper now forms a square tube. 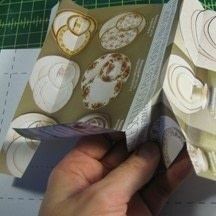 Fold in the bottom flaps. 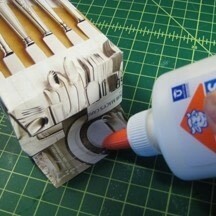 Glue the bottom flaps on the bag. Now you will utilize that last crease in your paper by carefully folding the top of the bag into the inside. This gives you a nice, finished edge around the opening. No need to glue. 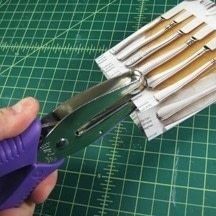 Using a hole punch, punch holes for the handles. Add some string for handles. I like to use remnants I've had lying around. 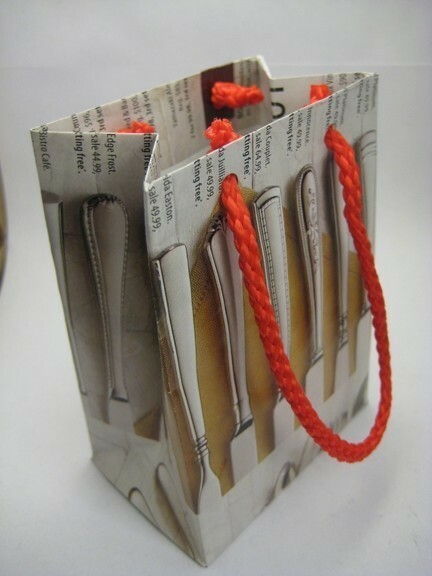 You can also use the string off of gift bags that are ripped or no longer use-able, or use any other ribbon or string you have around the house. 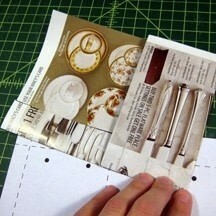 TIP: For an added touch, punch a hole in another piece of paper and string it through one of the handles for a tag! Done! A beautiful, one of a kind gift bag made out of recycled junk mail! It's a perfect size to hold junk mail earrings! 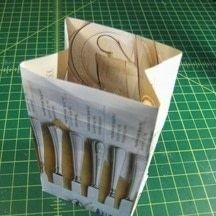 :-) And, you can even use shredded junk mail inside for protection and decorative packing. It's a pdf made to fit on a standard letter sized paper, however, if you have a larger printer you can blow it up and make bigger bags! Enjoy! 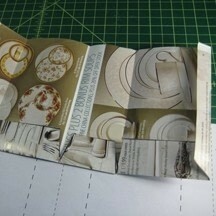 I would like to try this too but the photo doesn't constitue a template as there are no measurements visible on it. I relly want to try this but I cant find the template! Neat idea! Will definietely be trying sometime!